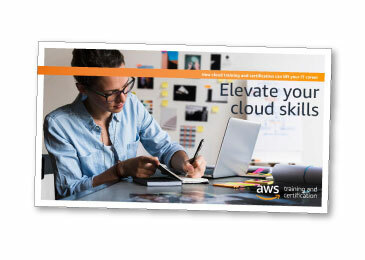 The rapid growth of cloud computing means new challenges for organizations — and one of the biggest is lack of training. There just aren’t enough people trained in cloud services to keep up with demand. Jobs are going unfilled, while salaries for highly trained IT workers are going up. This cloud skills gap also has a big impact on organizational performance. An inadequately trained IT workforce means delays in developing new products and solutions, difficulties meeting quality objectives and increased employee stress. The best way to bridge the cloud skills gap? Training.